Intermittent fasting has been steadily increasing in popularity for the last few years now, reaching a point where it has become somewhat synonymous with fat loss within the health and fitness industry. But despite this, intermittent fasting is still a very misunderstood (and often poorly implemented) concept. 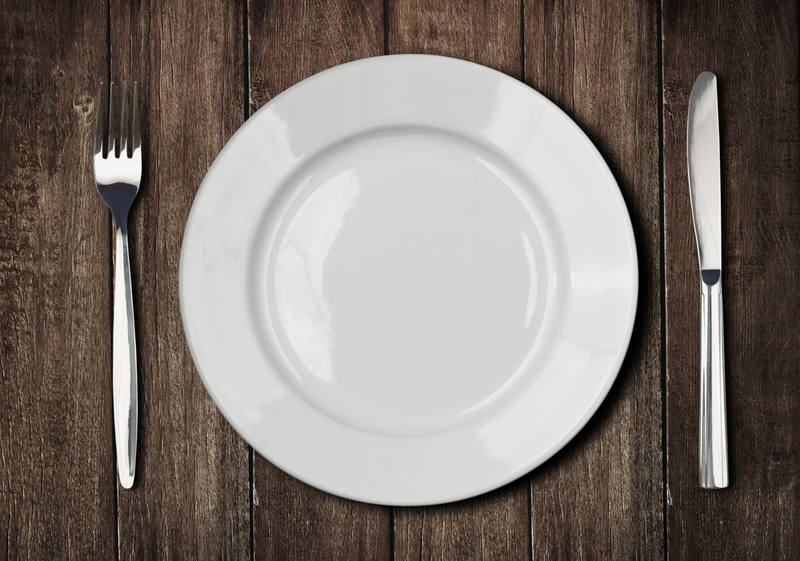 While there multiple different approaches to intermittent fasting, it ultimately describes periods of eating broken up by extended periods of fasting. While this may sound unusual, it is important to note that we ultimately fast every single night when we sleep. During the night we abstain from eating (although it is somewhat forced), and then break our fasting period in the morning with breakfast (breaking our fast… breakfast… get it?). Intermittent fasting capitalizes on the hormonal changes that occur when the body is in a fasted state to maximize fat loss, by extending this fasting period. 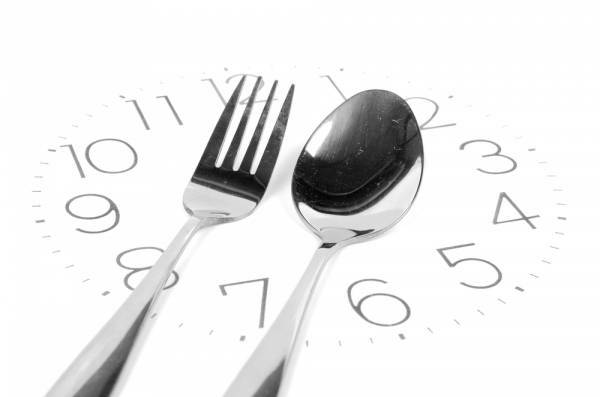 Some intermittent fasting protocols recommend extending this fasting period by a few hours, where others may even recommend a few days. For active guys like you and me, who regularly undertake gym based exercise, we can manipulate the concepts of intermittent fasting to maximize our fat loss, while also retaining (and often even building) muscle tissue. And fortunately this does not mean abstaining from eating for days at a time OR maintaining a strict time schedule. Now, before we go over the optimal methods of intermittent fasting, it is important to cover how it actually benefits us in regards to promoting fat loss. Firstly, the levels of insulin in the blood drop significantly. This improves our capacity to breakdown stored fat, where it can then be used for energy, while also reducing fat storage within the body. This facilitates fat loss considerably, and can even reduce our risk of developing metabolic disorders such as diabetes. Secondly, the natural levels of human growth hormone in the blood can increase by up to 5 times. Considering that human growth hormone plays a number of key roles in both fat metabolism AND the development of new muscle tissue, this can seriously improve our capacity lose fat and build muscle. As a result of these two factors, short term fasting can actually lead to measurable increases in metabolism, seriously increasing the amount of energy you burn at rest. As an energy deficit is essential to promoting fat loss, this can again increase the rate at which we lose weight. Moreover, as a bit of a bonus, by fasting intermittently we immediately reduce the amount of energy we consume on a day to day basis. This makes it much easier to maintain an energy deficit, which can further promote fat loss while also reducing food cravings during your fasting window. 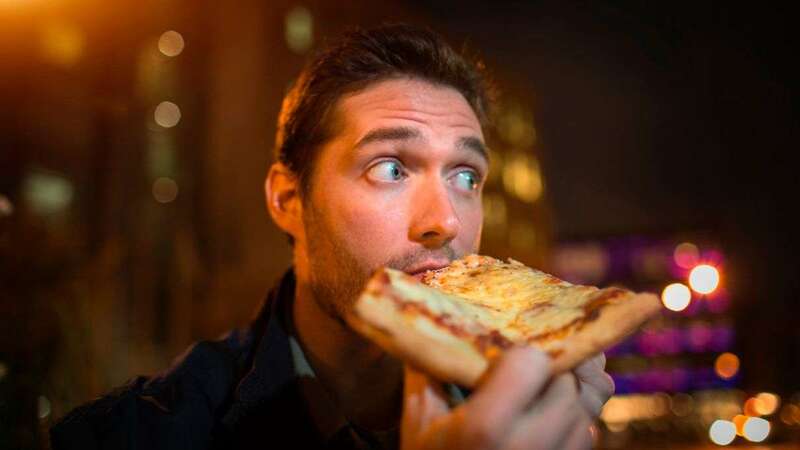 Now while these benefits are incredibly positive, it is important to note that they do decline after an extended period of fasting, and as a result, our body can actually turn catabolic (although it takes up to 48 hours without food for this to occur). So, first point; intermittent fasting does not have to be complex. Some people recommend regimented fasting protocols where you can only eat between 12 and 8pm (or something similar), and can’t consume a morsels of food outside of these periods. While these protocols will undoubtedly work, they do have their downfalls. Firstly they are extremely, and unnecessarily, restrictive. By limiting our eating periods in such a regimented manner, we can become obsessive. Secondly, these arbitrary eating windows don’t factor in the time we wake, or the time we go to bed, and as such are not applicable to everyone at an individual level. Ultimately the benefits of fasting come from spending time in a fasted state. This can from a fasting window lasting anywhere between 12 and 18 hours, and as such doesn’t need to be fixed to specific times. Rather, I recommend people fast for 4-6 hours after waking, irrespective of whether they wake at 5am or 8am. This still provides ample time to get the positive hormonal changes associated with an extended fast, without the regimented time periods associated with more traditional fasting methods. Now, during our fasting period it is important that we do not consume any calories. As soon as we consume something that has a caloric value associated, we cause an increase in insulin secretion, and a reduction in growth hormone secretion – ultimately reducing all the positive effects associated with fasting. And it is for this reason that I recommend the consumption of black coffee during our fasting window. Black coffee (with no milk or sugar) has zero calories, and contains substantial amounts of caffeine. It is also important to mention that fasting windows should be tailored around our workout regimes. While this methods is best suited to those who train in the afternoon (as they can get in a full meal before and after training), it can also be effective for those who train in the morning. In this scenario, the supplementation of BCAA’s prior to your workout will eliminate the breakdown of muscle tissue without impacting the body’s hormonal levels. A solid meal can then be consumed 1-2 hours after training to refuel muscle glycogen stores and increase muscle development. This will allow us to train in the morning, while also maximizing the positive effects of fasting. While this may go against grandma’s better judgment, it is important to reiterate that breakfast is no more important than any other meal. Assuming we are still eating adequate calories on a day to day basis, there is no need to consume food in the morning. This is because the food we eat actually takes a fairly substantial amount of time to break down and digest. As such, the food we eat for dinner provides more than enough energy to sustain us for most of the following day. In fact, most people who use intermittent fasting often report feeling most energized during their fasting window, having increased mental clarity and productivity. But wont eating a lot at night cause fat storage? I will keep this one short, but fat accumulation is strictly the result of eating too many calories on a day to day basis. If you still hit your set daily energy requirements, and meet your macros, you will not gain fat. Anyone who suggests that you can’t eat carbs after 7pm is wrong, – this is a myth based of pure misinformation. But don’t you need to eat 6 small meals a day to lose weight? The answer is again no. The suggestion that not eating for long periods of time will cause your metabolism to slow down is actually based on some poorly understood research about the Thermic Effect of Food (TEF). TEF refers the spike in energy expenditure we observe immediately after eating. This spike is a result of the energy required to break down and digest food we have just consumed. The assumption was that if we eat more often, we will cause acute increases in our metabolism more frequently – which would then lead to an increased energy expenditure, and increased wight loss. TEF is actually determined by our total daily energy intake (and often sits between 10-20% of our total energy intake). So it doesn’t matter whether we eat 6 small meals totalling 2000 calories, or one large meal totalling 2000 calories, assuming the macronutrient profile remains constant, the TEF will be exactly the same. As mentioned previously, using caffeine can be an incredible way to improve the effects of fasting, while also staving off hunger. In addition to caffeine, we also recommend the supplementation of both creatine monohydrate, and a high quality protein powder. Using these two supplements smartly can seriously maximize the effectiveness of our workouts, while also making it much easier to hitting our macronutrient requirements on a daily basis. Some people have trouble consuming adequate protein in their 2 or 3 meals (I certainly don’t, but I am a big eater), and having a good protein powder on hand is a great way to maximise protein intake without adding too many additional calories. So, to summarize. Intermittent fasting refers to extending the fasting period we incur during sleep to increase growth hormone secretion and reduce insulin secretion. In doing so, we increase the hormonal profile of the body to induce a state that enhances fat loss and the development of muscle tissue. This fasting period does not have to be fixed to specific daily times, but should merely be a moderate amount of time after waking where we don’t eat food. 4-6 hours tends to be the optimal fasting window. Consuming black coffee during this time is a great way to increase metabolic rate and stave off hunger, further maximising the fat loss effects of fasting. Furthermore, by supplementing smartly and still training hard, we can seriously increase our results, while easily hitting our macronutrient intake in fewer meals – without any negative effects. Try introducing our methods of intermittent fasting today to seriously maximize your fat loss, without incurring any of the negative effects associated with traditional dietary methods.